During 2016 Finesse Promotions helped Tourism Malaysia Nordic and Baltic with all PR and media related issues. 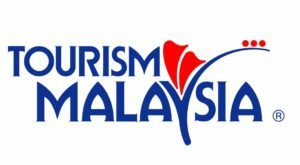 Malaysia Tourism Promotion Board or Tourism Malaysia is an agency under the Ministry of Tourism & Culture, promoting Malaysia worldwide. In 2015, Malaysia registered 25.7 million tourist arrivals and RM69.1 billion in receipts. In the Nordic countries Malaysia was represented by Tourism Malaysia in Stockholm Sweden until spring 2017 when the office was closed. Finesse Promotions created a monthly newsletter/press release which was distributed to travel trade and special media in all Nordic languages as well as to related travel trade representatives. We represented Tourism Malaysia at fairs and events. We also planned and organized press trips and study tours to Malaysia and helped with commercial contacts with tour operators, airlines, and other companies within the trade.